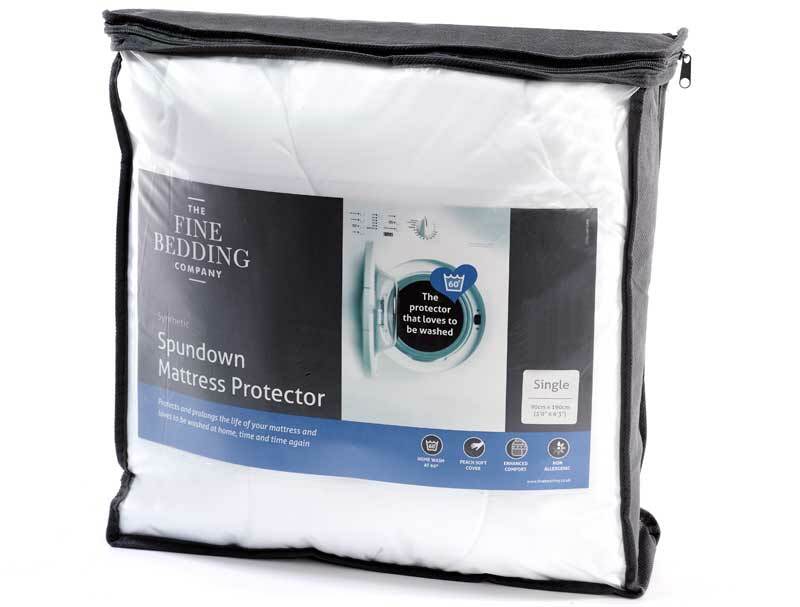 The fine bedding company mattress cover is made with a super soft top cover for enhanced comfort and is totall non allergenic , like all the products in the spundown collection it is machine washable at 60 degrees. . The spundown mattress cover has a stretch knit finish so should fit any depth of mattressup to 12 inches deep.